Heat the whipping cream with vanilla extract, brining to a boil. Add this mix to a blender and add the chocolate chips. While blending on medium speed, add the egg yolks, one by one. Let blend for a few additional minutes, until the mix is uniform in texture and consistency. Pour in individual cups and freeze for 3 hours. Garnish with strawberries or raspberries and a few mint leaves (optional). Serve and enjoy! Experiment with the flavor and intensity of the chocolate, mixing dark chocolate chips with white chocolate chips. Celebrating Valentine's Day is the perfect excuse to delight ourselves as well as others with sweet delicacies, and chocolate is a big part of this celebration. We're used to lavishing our loved ones with chocolates and cakes that have a cocoa base; that's why this chilled chocolate custard is a wonderfully unexpected chocolate option to give those you're treating a pleasant surprise. 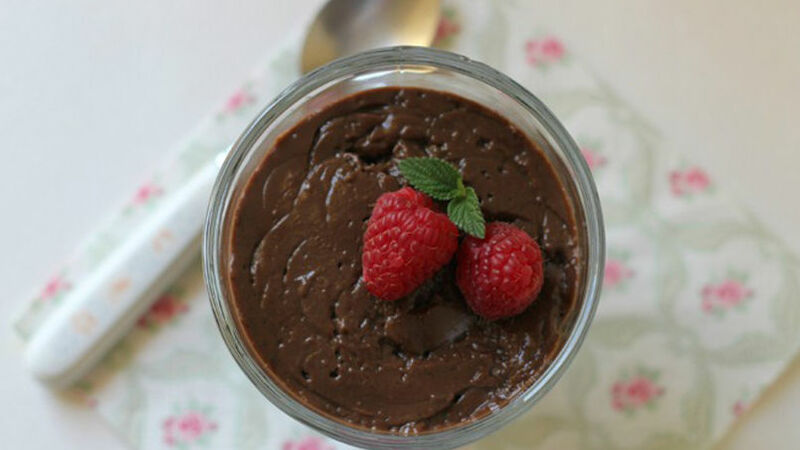 Enjoy this dessert after a romantic dinner or to sweeten up any moment of the day.